Few cars in history come with as much of a reputation as BMW's E60 incarnation of the M5. The first production saloon car ever to be fitted with a V10 engine. A truly iconic car, but also one of the most notorious for a number of reasons. Full disclosure: the drive was on the short side to form a fully flegded opinion on a car like the E60 M5. But it was a drive that left such an impression on me that I've decided to put it into words anyway. Let's begin with a bit of a history lesson. 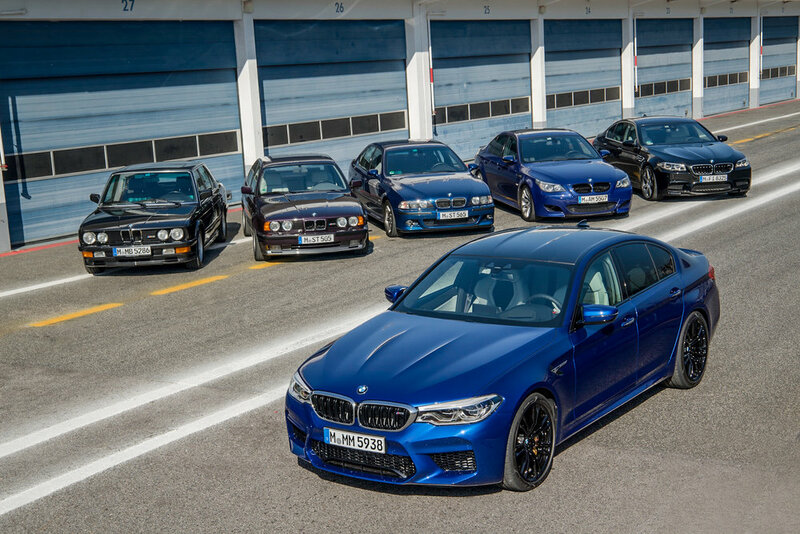 The E60 is the fourth rendition of the M5, after the E28 (1985-1987), E34 (1989-1995) and E39 (1998-2003). Isn't it just a happy family? This fourth version was introduced in 2005, and is powered by the now legendary S85 N/A 5.0L V10 engine. This engine produced anywhere from 400 to 507 horsepower, depending on which mode you are in. This engine was coupled together with a choice of two gearboxes. The first (and most common) is the seven-speed SMG semi-automatic gearbox, which has its roots in the BMW Sauber Formula One program. The other and far more uncommon option is a six-speed manual gearbox, which was only available in North American markets, the United States and Canada specifically. The official 0-100 (60) time comes in at 4.2 seconds, which is remarkably fast, especially for a car from 2005. The unrestricted top speed is about 328 km/h or 204 mph. But it must be stated that I was never going to come near those figures for a number of reasons. For starters, the weather conditions were incredibly unfortunate, with heavy rain throughout. I went in easy, because I didn't feel comfortable pushing such a notorious car in those conditions. For the same reason, I never drove with the full 507 horsepower. The owner recommended not using it, as even he would have trouble with it in such conditions. And when someone who knows the car well says that, you can bet I'm not going to push a car I had only been driving for a few minutes. Nevertheless, I feel like I have gathered a fairly good impression of what the E60 M5 is like. And the first thing I have to talk about is the noise. There is absolutely nothing that sounds even remotely like the S85 V10. It is a howl not found in any other performance car. And that realisation becomes even more bizarre when you take a step back for a moment and come to terms with the fact that you're not driving a mid-engined supercar. Because you're not. You're driving a four-door sedan. A family car. Something to take the kids to school with. Something to go get groceries with. It is hard to comprehend that a car with such a basic core purpose can sound so incredibly good. Even though I was driving with ‘only’ 400 horsepower (still comparable to the Aston Martin Vantage I wrote about last month), I got an adequate sense of just how mindbendingly quick the E60 is. The engine provides the power you need with an almost nonchalant amount of ease. You put your foot down and there is an instant, surprisingly smooth increase of speed, combined with that glorious cry of a massive V10 in front of you. It is a car you can drive in multiple ways. You can accelerate smoothly and quickly without the car giving as much as a squeak in protest. But it's also a car that makes it very clear when you're approaching more aggressive territory. I had multiple occasions of the traction control very noticeably interfering. It was at those moments that the true nature of the E60 began to shine through, as brief as it was. I felt the rear wheels searching for grip in the treacherous conditions. The whole car felt like it was bracing itself for the next level, even though it never came. But as much as it was an intense car, it never felt intimidating in the moments I drove it. I know this is a precarious statement. After all, I hadn't seen its true, 507-horsepower-face, but it was a very welcoming car to drive. The interior and the ride are comfortable, and it's an easy car to get acquainted with. The gearbox was one of two faces. At speed, the transitions feel much like the engine: smooth and easy. But at lower speeds it's a slightly different case. Many reviews have spoken about somewhat of a lack of smoothness at lower and stop-start speeds. This is something I noticed too: at slower speeds the gearbox felt a bit less smooth, a bit more clunky. But that is a minor price to pay compared to everything else the car gives you. The interior does a good job of making you feel at home and comfortable in the E60. It might not have been the full, pants-on-fire V10 experience that many have raved about. But it was a first meeting with a car that has reached near-legendary status. And as much as I expected it to be a wild, ferocious beast, I ended up with more of a big, friendly giant. But I suppose I didn't push its buttons enough. Or that one button, in particular.